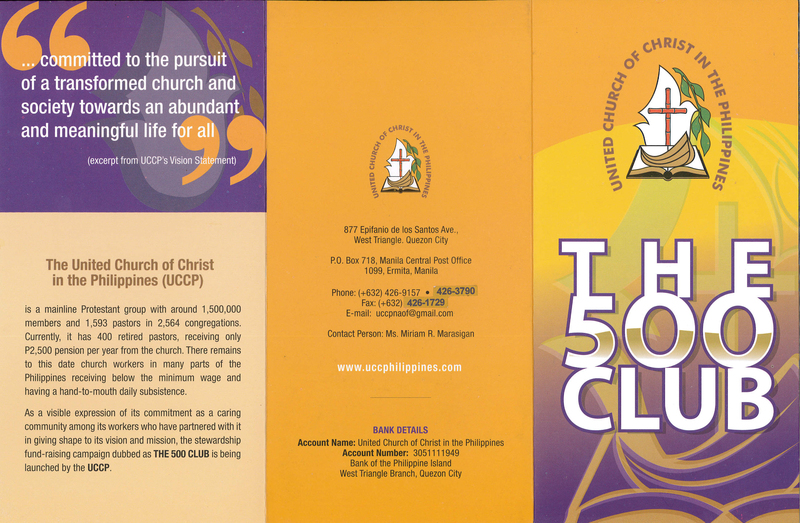 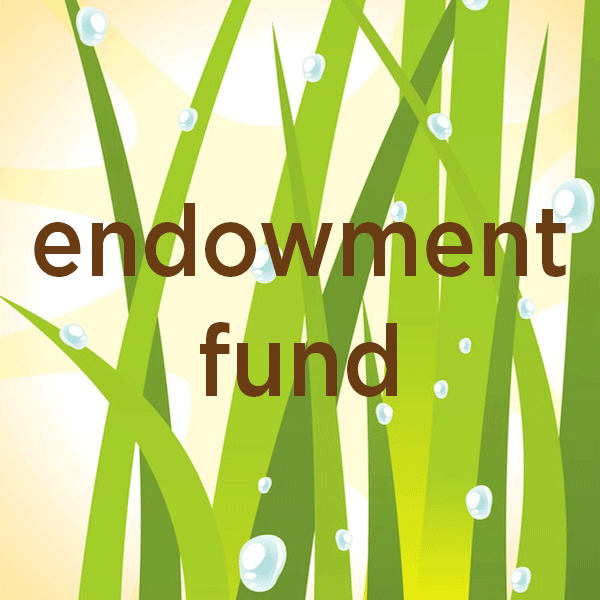 This stewardship fundraising campaign aims to establish the UCCP Retirement Plan Program and to support other programs related to improving the benefit and welfare of all church workers, past and present, for their unwavering commitment and dedication to the life and ministry of the church. 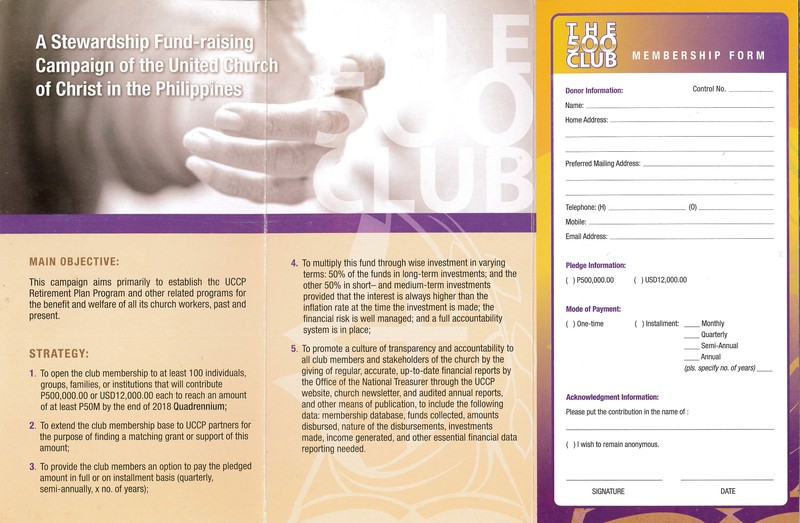 The Club seeks to reach out to at least 100 individuals, families, groups, institutions, and partners that will each contribute a significant amount to UCCP by the end of the present Quadrennium. 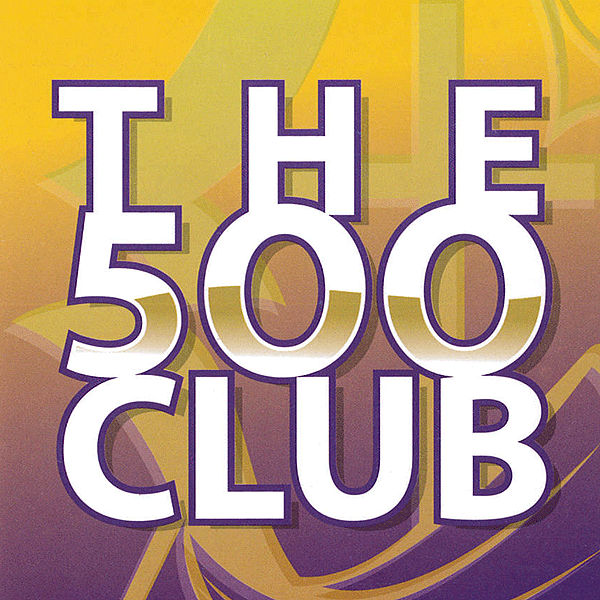 We wish to express our heartfelt thanks to the following friends and partners of The 500 Club. 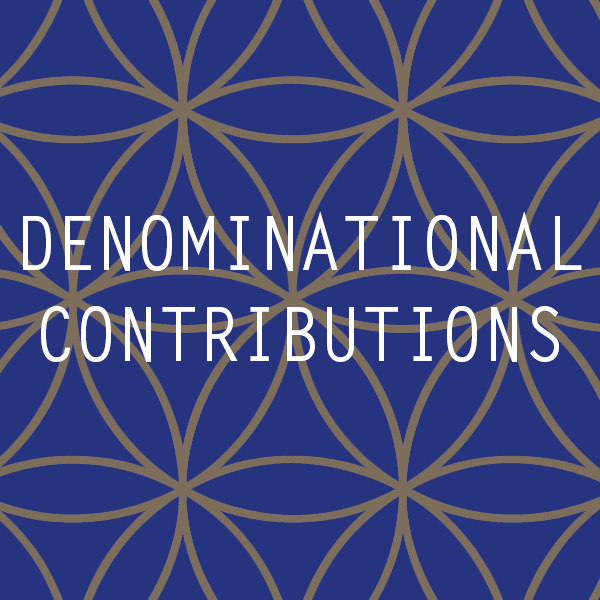 Your love and generosity burn truly bright. 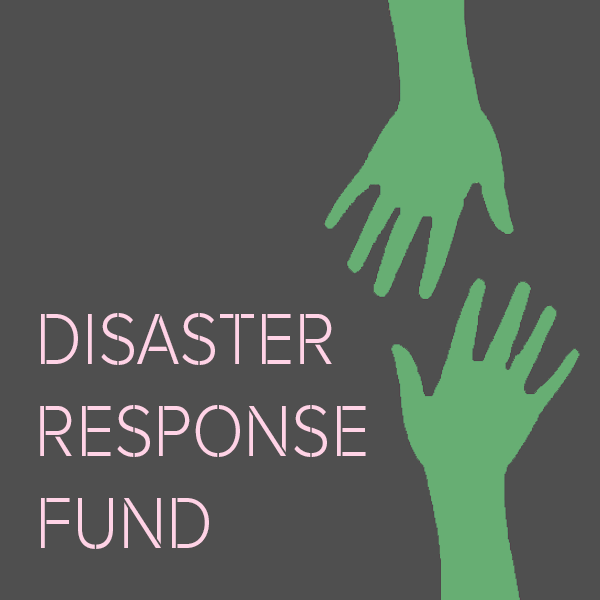 Brokenshire Integrated Health Ministries, Inc.
To know more about this campaign, or if you want to make a contribution, please send us a message through the contact form below.